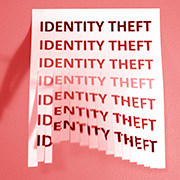 How Can You Prevent Taxpayer Identity Theft? In recent years, the IRS has been inundated with thieves filing tax returns using fraudulent information with the goal of stealing other individuals’ tax refunds. The tax agency announced that it is cracking down this filing season. Here are the details of the tax identity theft crackdown, as well as a list of “high-risk” areas identified by the IRS and what you can do to help protect yourself. The Internal Revenue Service is taking further steps to combat identity theft, including issuing proposed regulations that allow taxpayers to truncate the identification numbers on some tax documents they file. Click here to read the full article.